Building custom software can be an expensive and time-consuming process. It can easily eat through hundreds of thousands of dollars and years of your life. It’s therefore important to be certain you’re building the right software with the right features to capably address your users’ problems. To de-risk our clients’ software investments we use our Discovery process. It enables us to develop the right software for them as efficiently possible. The most critical tool we use throughout our Discovery process is the interactive prototype. Building interactive prototypes allows us to quickly and easily create product design mockups that you can engage with and use. You can maneuver about different screens by clicking links and buttons, and get a sense of how the final product will look and feel. This process is known as user-centered design. We’ve found user-centered design fueled by interactive prototypes is much more effective than putting together static screenshots and requirements documents. Interactive prototypes are flexible. Anyone can access them with a URL and leave notes that correspond to application features and designs elements. They add a layer of context that mimics the user experience and facilitates a more meaningful dialogue between prospective users, product stakeholders, and ourselves as product implementers. Not only that, interactive prototypes accelerate feedback loops. It’s much easier to share the prototype and review feedback from a large number of prospective users and stakeholders. With the accelerated feedback loops in place we can quickly eliminate ambiguity and hone in on exactly how your software should behave. In order to create your interactive prototype, we first need to get all of your ingredients together. We prepare your design mockups, set up your user flows, and identify all of the transitions you want to create between different objects and screens. Then we choose the right prototyping tool depending on your needs. More often than not we use InVision or Balsamiq. The process of building interactive prototypes is iterative. We put an initial version together quickly in order to get a dialogue going as soon as possible. From there we’ll make updates and adjustments based on your feedback and prepare for another round of feedback a few days later. We typically go through this cycle 2-to-4 times over the course of a few weeks depending on the complexity of your application. The use of interactive prototypes and user-centered design starts with the user and ends with the user. Throughout the entire process we try to put ourselves in the shoes of the user. We do our best to empathize with the problems they have and ensure we build the right software for them. 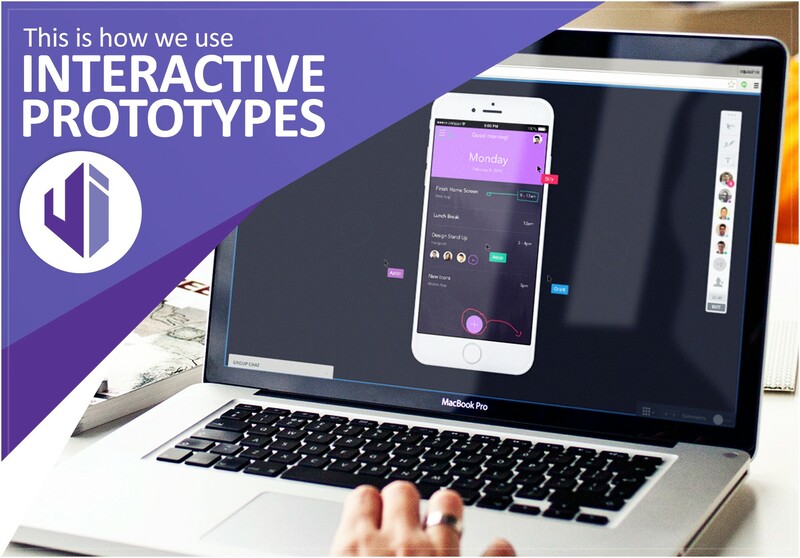 Interactive prototypes are a powerful way to validate product requirements and de-risk software investments. They help to refine requirements and uncover missing gaps in our designs. Ultimately, interactive prototypes enable us to bring to life the killer application that you’re looking for. ☞ We help B2B organizations turn great ideas into software. We're a women-owned business that helps B2B organizations turn great ideas into software.